Flashlights are amazing inventions no doubt. Whether you are in the armed forces, a firefighter, a police officer, a fisherman, or you just like camping, hiking, or trekking, having a good flashlight is essential. Not only does a high lumen flashlight makes your life easier, but the ones with the right features can even end up saving you from difficult situations. This is why we have compiled a list of the best 1000 lumens flashlight to make sure your money is well used. 2 Buying Guide: How to Buy the Best 1000 Lumens Flashlight in 2019? 2.1 What’s Concentration & Distance? 2.2 What do you require: Tactical or Outdoors? 2.3 What is the Battery Life Like? 2.4 How Durable is The Flashlight? Finding the best 1000 lumen flashlight can be a daunting task. There are numerous considerations you should keep in mind and even more flashlight choices to go with. Therefore, we are here doing a review of the top ten 1000 lumens flashlights in the market for 2019. Let’s not waste any more time and see what are some of the best models available. Fenix is a leading outdoor sports lighting brand which has been mentioned repeatedly in our flashlight articles as it delivers some of the best products. This Fenix PD35 is proof of that. It’s compact, easy to carry, and it’s actually really bright too. What else can you ask for? The flashlight is only five inches long and weighs less than 100 grams. Therefore, it’s the best option to go for when you need to save space but still need a strong beam. In addition to that, the flashlight comes with a holster so you can attach it to your belt loop. It’s so light that you will barely even notice it. The best feature about this flashlight is that has different modes. A switch on the side allows you to instantly switch between outdoor and tactical lighting modes. The tactical mode allows you to switch between turbo, low and strobe mode whereas the outdoor mode gives medium, low, high, eco, and strobe light modes. On the turbo mode, the flashlight will illuminate up to 656 feet ahead of you. 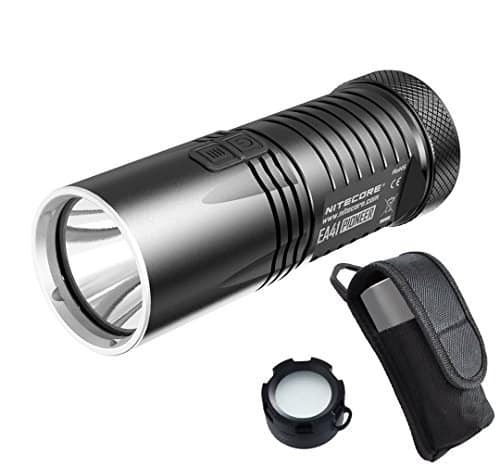 Furthermore, with this flashlight you get two battery options, you can either choose a 18650 rechargeable Lithium-ion battery or two three volts CR123A Lithium batteries. Both will work perfectly fine. SureFire is an American company based in California that manufactures flashlights, headlamps, and weapon mounted lights. The SureFire P3X is a strategic LED spotlight structured and built with efficiency and performance in mind. 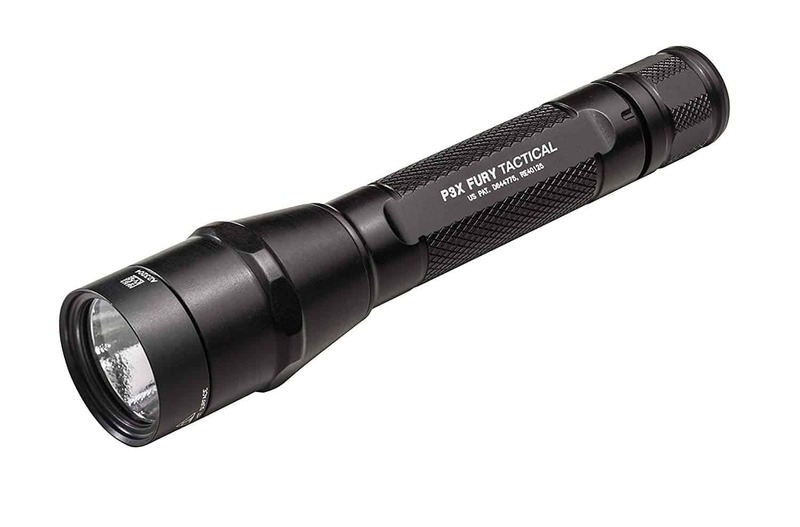 The flashlight delivers top quality lighting with a focused tactical level. This 1000 lumen flashlight offers two different output levels (the other is the P2X at 600 lumens) and at three working modes. In addition to that, it is made from a high-quality aerospace body, which is hard anodized and perfect for use even in the military. 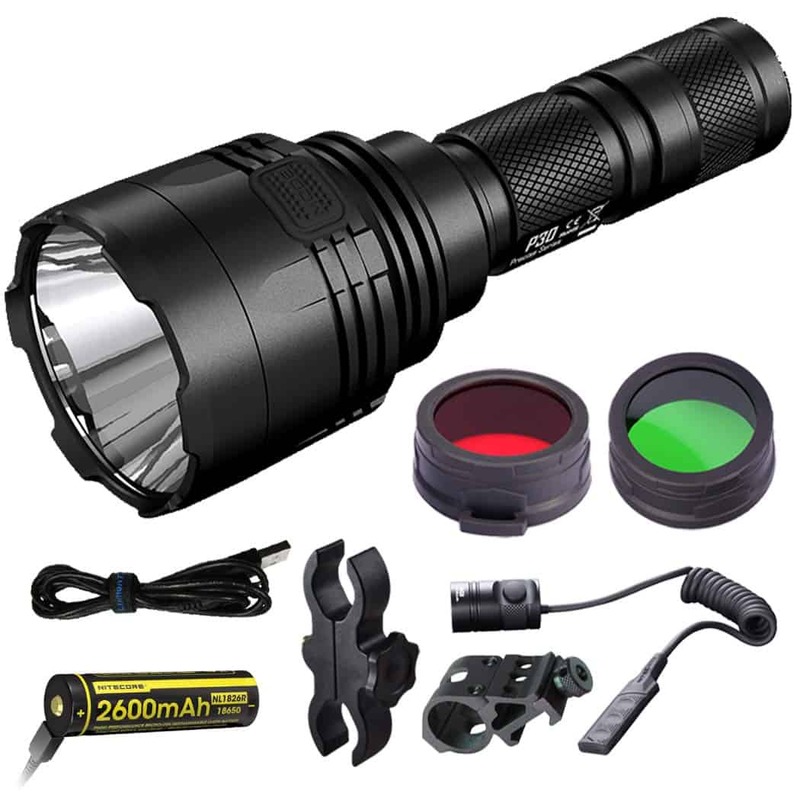 Furthermore, the flashlight is both lightweight and strong; therefore, you can make the most of it, all in a super lightweight structure that is very inexpensive. 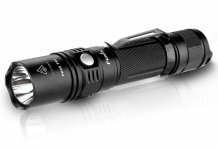 The most noteworthy feature of this flashlight is it’s the knurled design which provides you with a secured grip even in tricky situations. It works using 123A batteries which fortunately are included with the package so you wouldn’t have to spend any extra bucks on that. This flashlight, which is made by Hausbell, is the perfect one to keep in your vehicle if there is an emergency. It is very compact, and won’t take up a huge amount of room. But what truly makes this flashlight an ideal choice to be used in or with vehicles is the solid magnet in the base of the flashlight. This enables you to stick the light to anything magnetic, and have a constant flow of light while you deal with whatever needs to be done. The light is quite bright, with the highest brightness at 1,000 lumens. In addition to that, you have the choice of various brightness levels or a strobe mode which is quite beneficial in emergency situations. However, the main downside to these various light modes is that you have to go through every one of them to get to the one that you need or to switch the light of which at times can become infuriating. All of this is done with a push of a button, which you can operate even while wearing gloves. 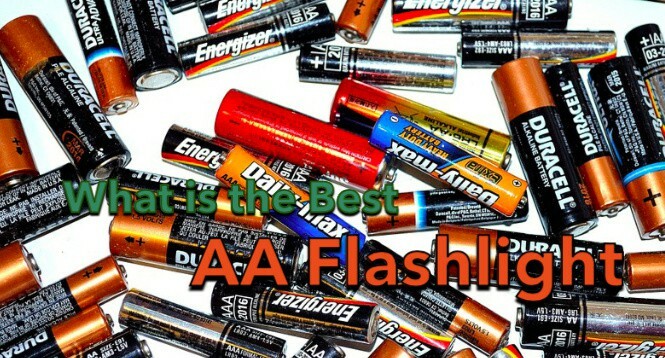 Furthermore, the flashlight works using one Lithium-ion or three AAA batteries. Whichever kind of battery you use, the flashlight provides you with light for a good amount of time which will last longer if you’re using a low mode. The Raybek Outdoor Tactical Police Flashlight is the most trusted one on the out list as it is the most versatile one on our list. 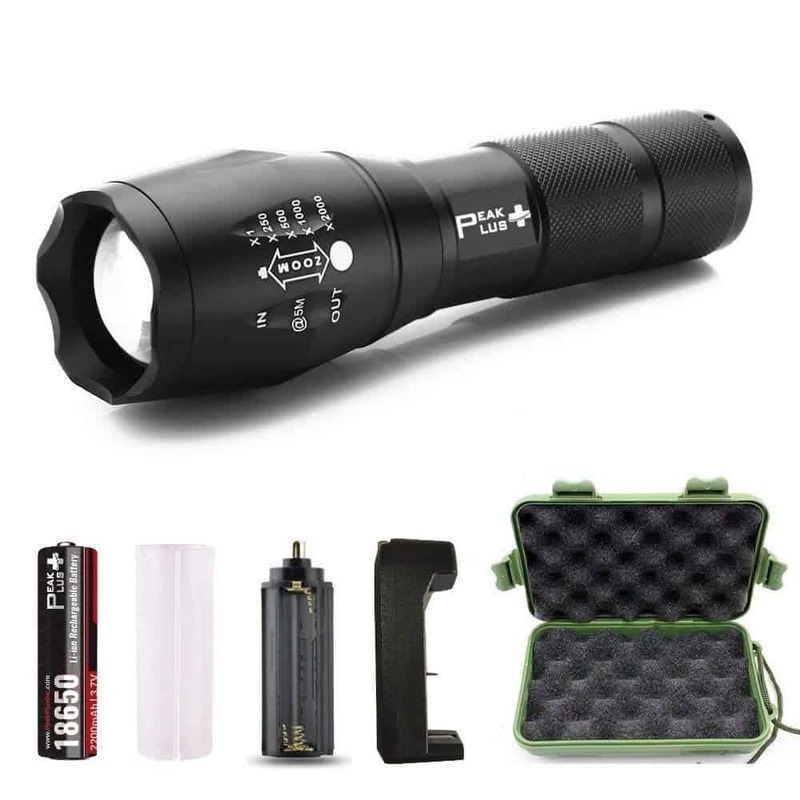 The fact that this flashlight is used by military officials, policemen, firefighters, hunters, and camping enthusiasts makes this flashlight even more trustworthy as it has been tried and tested. The best part we find about this product is that it comes with a special power and battery extension. Besides that, the flashlight has various light modes that include high, medium, low, and strobe. The high mode is great at locating targets and blinding them, making it the perfect choice for law enforcement agencies. While on the highest mode, the flashlight can throw a beam of over 380 meters which is quite impressive. However, even on the highest mode, the Raybek flashlight has amazing battery life. Its battery can work for a solid 1.5 hours on the highest mode and for around 50 hours on low mode which is way more than any other flashlights. Lastly, it runs on rechargeable Lithium-ion or two CR123A batteries. You can choose whatever you find, and in case you can’t get either, the flashlight can also work using disposable batteries. Comes with a pocket clip, holster, and O-ring so you can easily mount it on your pants, backpack, etc. This flashlight created by PeakPlus is one of the smallest 1,000-lumen lights available in the market in 2019. This, obviously, has a few advantages, and a few disadvantages. One of the greatest advantages is that this light is small enough to fit into your pocket. This will ensure that you will have it with you when you need it. Since the flashlight is somewhat smaller, it has a longer battery time than a bigger model would, even in the brightest settings. However, the issues, with a compact flashlight is that they are not exactly as durable, or as bright as their bigger counterparts. 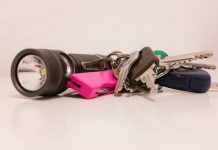 While this light is built well, you would most likely need to treat it with more care than the other flashlights on our list, essentially because it is much smaller. Additionally, it’s not totally waterproof, but it is water safe. That implies, that while it will keep on working in a light downpour, you wouldn’t want to take it out in a storm. 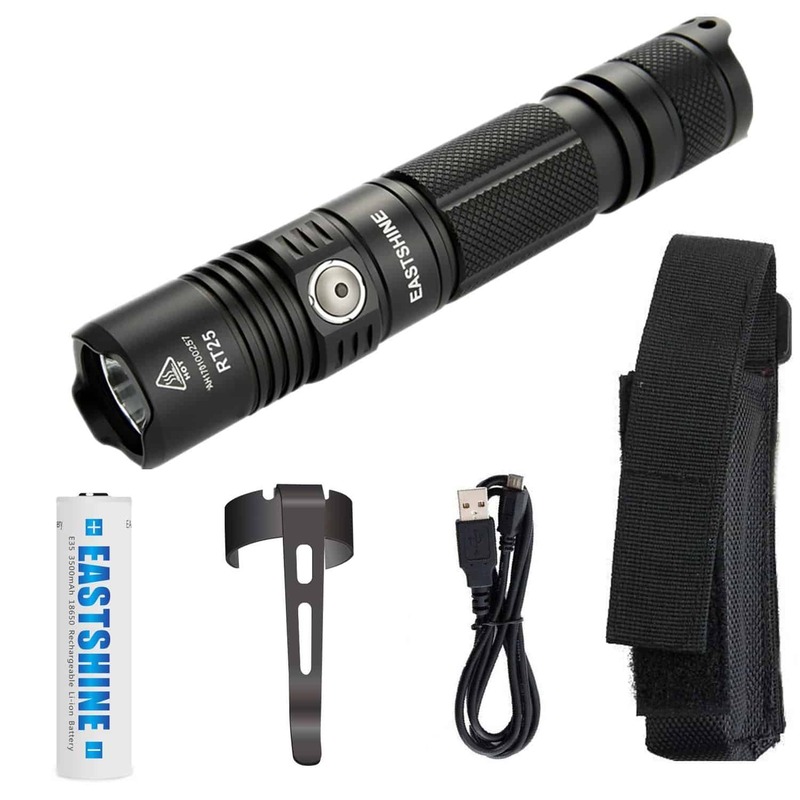 Coming in at number six on our list, the EASTSHINE Professional Tactical Flashlight stands out amongst all the others as it is one of the toughest 1000 lumens flashlight out there. It’s made of a tough aluminum body with a special covering. 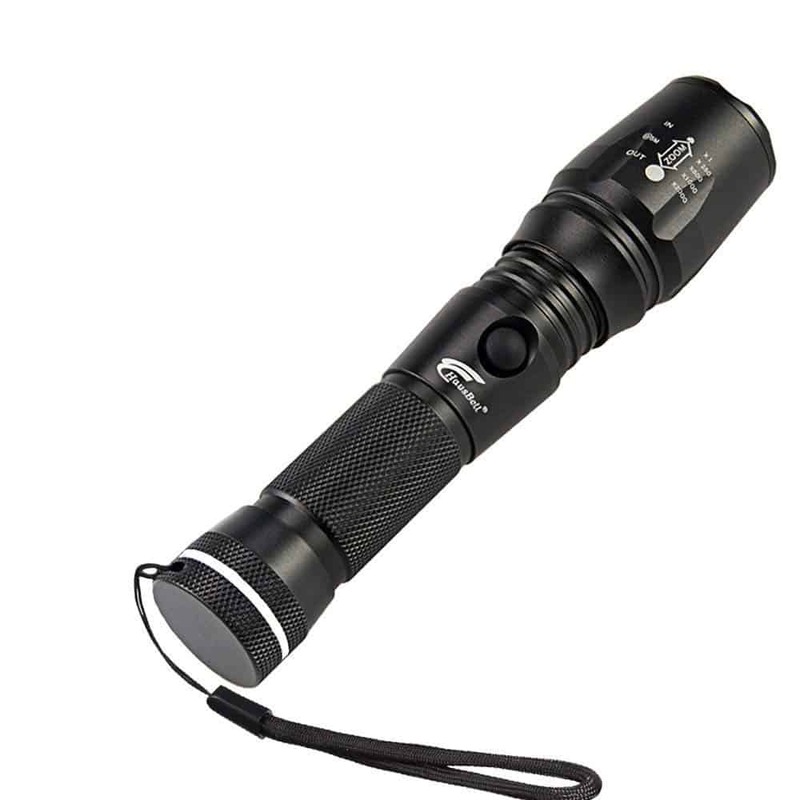 This makes the flashlight extremely impact and scratch resistant as well as dust and waterproof. You can submerge it in more than 6 feet of water without any fear of it breaking. It’s obviously not for diving but it can stand extreme environments really well. Furthermore, the flashlight offers five different brightness modes which include high, medium, low, strobe, and moonlight. What’s cool is that Eastshine has an intelligent memory and it remembers your preferred mode. The average battery runtime for the high mode is a couple of hours, but on the low mode, the battery can last up to 520 hours on a single charge. Lastly, the flashlight runs on a rechargeable lithium-ion battery, and it also comes with a USB cable for recharging the flashlight. 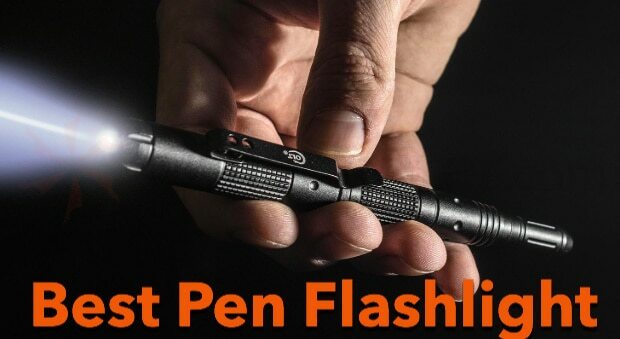 Until now we have only covered the tactical flashlights in this article, most of them are small, but this one is a bit different from the contemporary flashlights. This one is a big and bold hand-held spotlight. The Wasing 10 watt led spotlight is huge and bright enough to illuminate practically anything, which is exactly what you need when searching for a 1000 lumens spotlight. The Wasing is a professional name when it comes to professional spotlighting. It has four different modes and a strong light mode for illumination of whatever is in front of you. It can light up several feet, and because it’s not a flashlight, the lights aren’t that concentrated. Furthermore, the average battery runtime on the strongest mode is three hours, for the normal mode you can get around six hours. Lastly, the spotlight comes with its own ac adaptor and charger, as well as with a nifty adjustable handle. Nitecore is well known in the flashlight market for designing some of the best and brightest flashlights. The Nitecore EA41 is no exception – this flashlight comes in our list under the category as the best 1000 lumen flashlight for the outdoors. 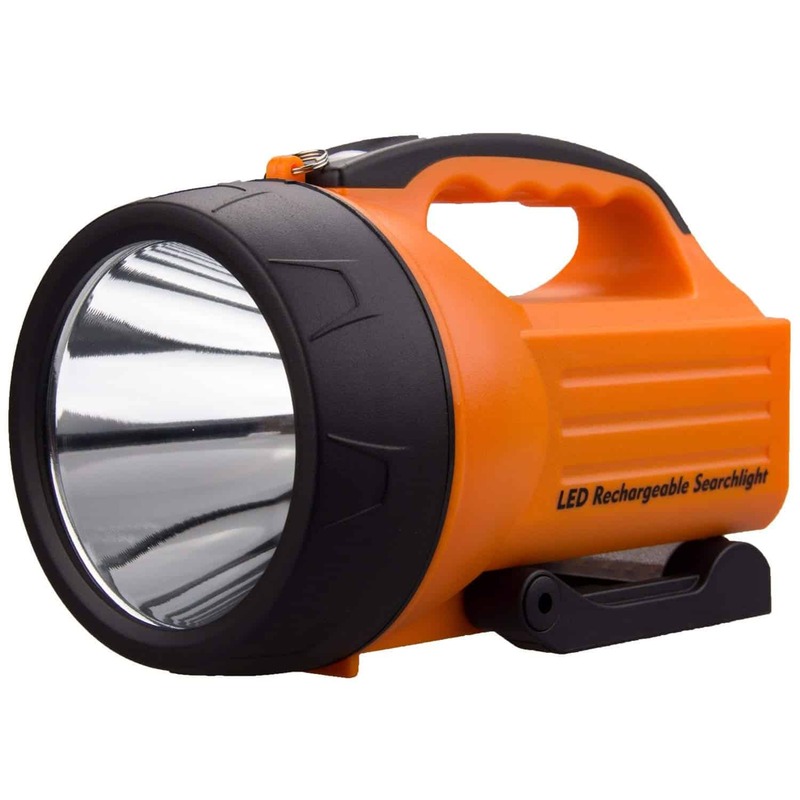 It has earned this title because it makes an amazing searchlight, performs well in emergencies and makes a great overall choice for camping, hunting, fishing, etc. In addition to that, the flashlight comes with five different light modes. These modes include high, medium, low, turbo, and lower light mode. The simple dual switch allows you to easily switch between the light modes. Moreover, the battery life for this flashlight is pretty good. Even on the highest settings, the flashlight can run up to 1.75 hours. Whereas on the lowest settings, you can get up to 400 hours of battery life. Lastly, it doesn’t use rechargeable batteries but instead works using four AA batteries. 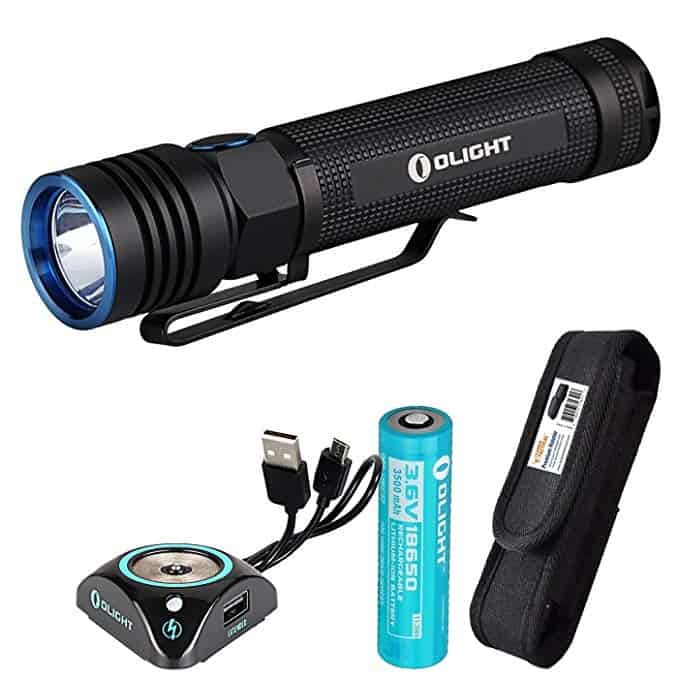 The Olight S30R III is the most recent S30R from Olight. 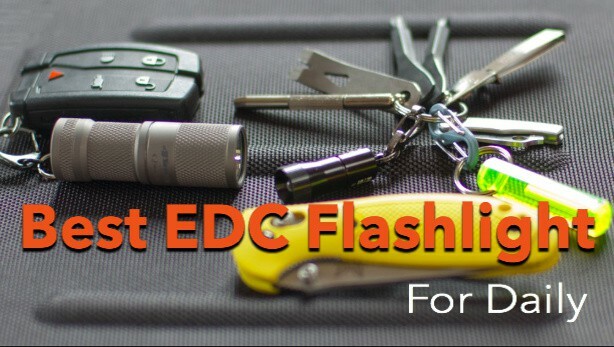 It is brighter and much more compact than the other flashlights on our list. 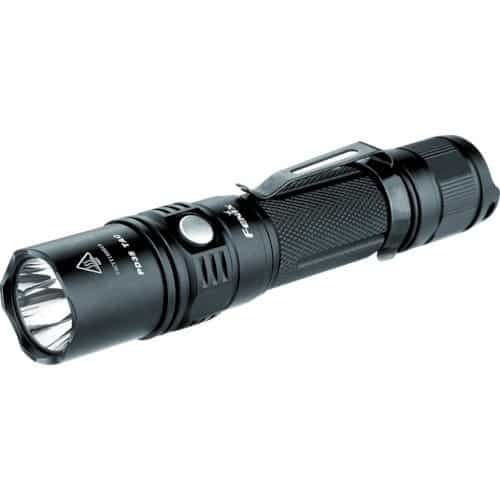 It is powered by a CREE XM-L2 LED, it gives out 1050 lumens at the highest setting. It is considerably smaller, only around 4.49 inches long and weighing under 4 ounces. This little flashlight is battery-powered with a charging dock and a high limit 3500mAh 18650 battery. The included magnetic tail cap, lanyard, and clasp offer amazing flexibility, enabling you to clasp or attach the light to a wide assortment of surfaces. The light makes an extraordinary buddy at work or in the outdoors hiking or camping. The battery run time is relatively good for this flashlight. It can last up to 200 minutes at its highest setting and for 100 days at the lowest setting. Lastly, the flashlight is IPX-8 waterproof rated, meaning it can be submerged under 6 feet of water without any potential harm being caused to the flashlight. 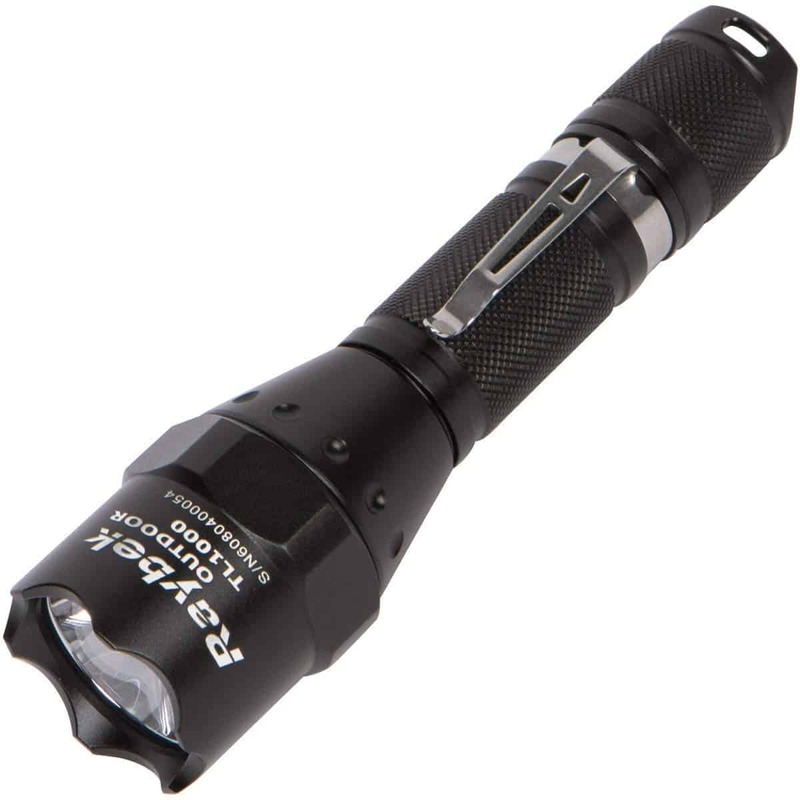 The last flashlight but certainly not the least one on our list is another Nitecore flashlight. Which further strengthens this company’s credibility. The Nitecore P30 is a long-throw, compact hunting light. Using a CREE XP-L HI V3 LED, this great flashlight gives off an incredibly strong 1000 lumen output as well as an immense beam throw of 676 yards, which makes it the perfect tool for search or rescue operations. In addition to that, the flashlight can be mounted onto weapons to making this flashlight ideal for hunting. It’s operated using the dual button operations, which make the P30 simple to use while giving a great runtime of as long as 680 hours. Additionally, the flashlight also comes with green and red filters which assist the hunters by making them less visible. Buying Guide: How to Buy the Best 1000 Lumens Flashlight in 2019? Before you go out and spend any money on any sort of 1000 lumen flashlight, there are a couple of things you should remember. To make sure, you only get the best value for money, let’s go over the main considerations you should make before purchasing any high lumen flashlight. The most important thing to note is the concentration of the light produced by the flashlight as well as the beam distance. This pretty much comes down to the contrast between a searchlight or a spotlight. Most of the flashlights we have taken a look at in our article all give out around 1000 lumens of light. However, the level of beam concentration will have a major effect on how far the light can go. A more concentrated light emission will be able to achieve a lot more distant. Whereas a light with a not so concentrated beam would not be able to go very far. What do you require: Tactical or Outdoors? The type of flashlight you require also depends on your usage and to decide the best one for yourself you need to understand the difference between various kinds of flashlights. 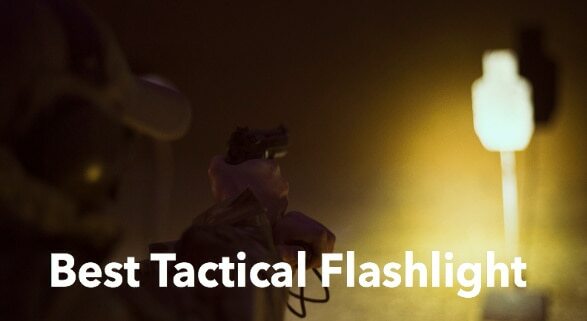 Tactical flashlights generally have their power button on the rear and have several lighting modes which can help locate things in dark areas. Because of their usage, tactical flashlights are small and have easy access buttons. Outdoor flashlights, on the other hand, are quite similar to normal flashlights and the power and mode selection button are located towards the side. Furthermore, outdoor flashlights are generally more rugged and are weatherproofed so they can survive the harsh environment. However, you must have noticed how some of the flashlights mentioned on our list work both ways, like 2 in 1. All in all, it comes down to your usage, therefore, do think that through. One more thing that you have to remember when purchasing a high lumen flashlight is its battery life. Most of the flashlights we have discussed above have different modes and levels of power. Clearly, the higher the intensity of the light the more battery is being utilized. With regards to a 1000 lumen flashlight, you should search for a model that can last for up to 1.25 hours on the highest setting. Some of the flashlights we listed above can keep going for up to three hours on the highest setting and a few hundred hours on the least one. 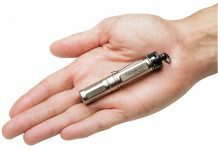 Additionally, it is a smart thought to search for a high lumen flashlight that is rechargeable, or even better, one that can utilize disposable batteries as well as use rechargeable ones. In any case that you don’t have a place to charge the light, you can easily utilize the disposable battery. How Durable is The Flashlight? Another very important question that comes up is how durable is the flashlight? It’s better to opt for a flashlight that has an aluminum or anodized shell. And this is important if you’re going to be outdoors a lot. Being outdoors means a rough environment, and it is highly likely you drop your flashlight. In such a case, having an aluminum flashlight would prove very beneficial. Make sure you check whether your flashlight is impact, shock, or scratch resistant. And like that, having a high waterproof rating will also help you survive better during those unpredictable weathers. 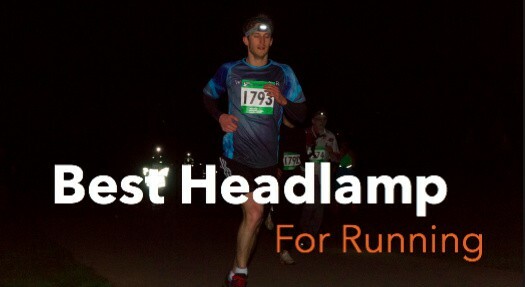 When talking about the best 1000 lumens flashlights, most of the options listed above give major competition. A high lumen flashlight can have a major effect regardless of what circumstances you are in, so take as much time as necessary while picking one. Regardless of whether you are a security person or simply going hiking, having the correct flashlight is really important.